one of the most difficult concepts for modern man to understand. The difficulty is that we expect those outside of the Body of Christ to misunderstand LOVE, but not those within. Such is not the case, however. The church is at least as confused as the rest of the world when it comes to an understanding of love. 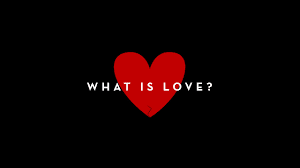 Part of the problem could possibly be the limitations of our English language, wherein we use the word 'love' in a variety of ways for different meanings. I love my sister = I can't stand to be around her, but she's family. Too bad we only have the one word which hinders us from saying what we actually mean. Fortunately, the Greek language in which the New Testament is written does not leave us with that quandary. Yet, when we read the Bible, our understanding of a word first passes through our ordinary filters before we arrive at an interpretation. Those filters determine our understanding, interpretation and application of that particular verse. Such is the case with our next benchmark for assurance of our salvation. LIVING IN LOVE—What Does That Look Like? Books have been written, songs have been sung, and poems have lyrically proclaimed the many-faceted aspects of love. It would take more space than I have here just to make mention of the varieties available for our understanding. As far as the church goes, we are now inundated with sermons and songs proclaiming the love of God for us. In and of itself, that is probably not a bad thing; but, let's not forget about the previously-mentioned filters. Do we have a clear understanding of His love, and how that plays out in our daily life? I tend to think not so much. The current trend in the world is to call for love, tolerance, and acceptance, but as soon as someone questions the validity of such, any manifestation of love flies out the window as the hand grenades of venom are viciously spewed forth. Sadly, the church seems to have followed suit. While proclaiming the expansive love of God for all and how we are to be demonstrating the same, it appears to be too easy to only love those who agree with us. Bring out a criticism or a question concerning current lifestyle, and all the hatred of hell is leveled against the one who dares to challenge. It seems that the modern definition of love means accept everything, question nothing, keep any contrary opinions to yourself, and by all means toe the party line. I dealt with the concept of rebuke in a previous article about a year ago. You can read it here. The idea, as presented by the Lord in His Word, is that rather than taking criticism as a sure sign of a lack of love, the exact opposite is true—a word of correction shows (possibly) the reality of a depth of love. Therefore, to the point of our verse under consideration that marks our assurance that we are in Christ, what does "dwelling in love" look like? Love is willing to risk the offense of offering correction. Love is willing to take correction. Love looks to the Word for its criteria. Love is not concerned about itself, but looks out for the welfare of others. When you say, "God is love," is this what you mean? Do you live in love? Well as the man progressed its definition varied and will continue to be in the future! But the fact remained, that nothing could change the original!